FYI: My Outlander Blog is going to remain a place for respectful discussion – My Outlander Blog! Thank you, thank you for sharing your thoughts with us. It seems that we who have loved the books for decades, and truly felt the beauty and power of this story, have been blessed to find our voice in you. I am always excited to find a new post from you in my inbox, and know that I will be nodding and thinking “yes” and “exactly!” while reading it. If we ever met, I know we would be friends. I hope that you can find some peace, and relief from the difficulties in your life very soon. We who are savoring the experience of seeing our favorite novels come to life onscreen may seem to be quieter than the complainers, but we are many. I hope you feel our support and appreciation for your time, effort and insight! I am one of the quiter ones, who truly appreciate your insights on the tv show. I, as many, find you express my thoughts and feelings perfectly. I believe we are in the majority. I love the books and love the show and always look forward to your blog. I keep away from the sites and blogs that are so critical and negative and sow anger and discontent. Please knpw that you are deeply appreciated. Always enjoy your post and agree with you on many , many things. Life is to short to get so worked up over television. Enjoy and carry on ! Ditto, ditto,ditto. I want to echo everyone’s comments. Please don’t stop writing your blog. I have never posted before, and I imagine there are many like me who do not post. We may not post, but we appreciate your thoughtful commentary. Having never written to anyone online who I don’t know, I’m still a little shy about doing it. I enjoy reading your blog because you say what I want to say. You have just validated my obsession with everything Outlander. It is my distraction, entertainment and pure enjoyment. Your blog adds to that enjoyment by digging in and giving me food for thought. Thank you. Agree with all the previous responders to this blog post. Big hug, your a positive influence in my life, thank you 😊! I hope otherwise life becomes less stressful for you and I look forward to your future posts. Sorry to hear of what you are going through but thank you for all you do. 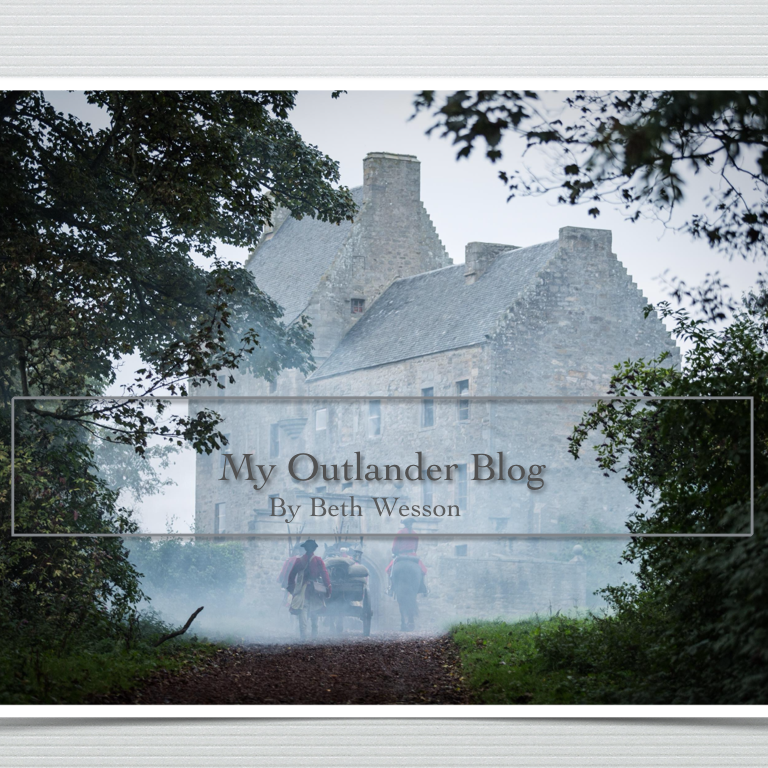 I have been reading your Outlander blog since I discovered it, about a year and a half ago. I never comment, not because I’m not interested, more because I don’t feel articulate enough to express myself. In a sea of angry rants, petty comments and negativity I’ve always found a safe haven here. And you have always given me a different (but more often similar) perspective to the story. Oh Beth! I am very sad that the ‘Internet nasties’ have found their way on to your wonderful blog. You don’t deserve it as you are certainly for me the Voice of my thoughts. Beth’s Outlander blog always seems to encapsulate the opinions I haven’t been able to articulate so readily. Please don’t give up! Have a huge hug from all your fans. I am an unashamed ‘bookist’ rather than a ‘seriesist’ (sorry about the perversion of words) The tv series is a creation based on the wonderful novels. The fact that it sticks so closely to the original at times is a luxury, and as you say those working on it are doing their very best. Dear Beth I look forward to reading your wonderful thoughts on the show that has brought my favorite books to life. I appreciate the time you take out of your busy life to bring your perspective to your readers. Please continue and know you have the support and admiration of many. Thank you, Beth! I have been appalled at some of the Q&A’s on Twitter, too. I don’t post here often, but enjoy reading your “take” on episodes. Lately, it seems like the most critical and most rude are also the loudest. We all moaned about the long Droughtlander, but it seems that there’s a faction who are even unhappier when it’s over. I wish you didn’t have to “police” your site, but that’s the reality now. Keep chugging along. My husband was a high school basketball coach in Indiana, so I know where you’re coming from. I think my tongue is still scarred from biting it! Beth please don’t be discouraged by the nasty people – there are so many more who love what you have to say, the books and the show. I completely understand your frustration, I have stopped looking at many SM sites due to the craziness. I believe that it’s ok to like/not like different aspects of the books/show, but it is never ok to attack anyone for having a different opinion than you. Peoe are very brave and unbelievably nasty and rude when they can hide behind a computer screen. As my dear mother always said, “if you can’t say anything nice, don’t say anything at all”! Continue to do what you do so well – it is appreciated! Amen, sister! I was devastated for Sam a couple of weeks ago when he felt like he had to defend the “A. Malcolm” episode. 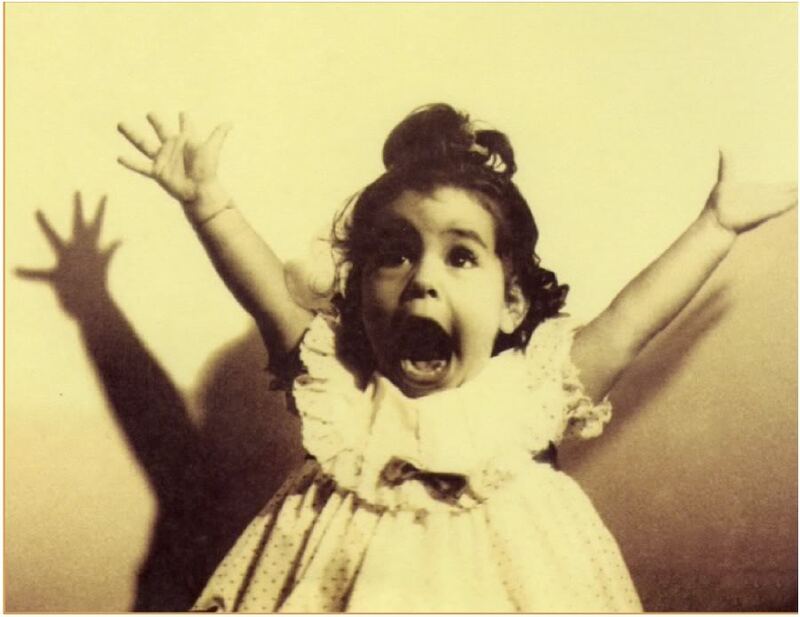 I really was happier watching Outlander with just me, myself and I.
I do appreciate your blog!! Truly. Please don’t go! We need your light to shine. You are a beacon of calm and reason when I find myself disappointed with some aspect of an episode. You help me to see the light. Yours is the ONLY Outlander blog I read. I trust your analysis. I truly hope the big mouths of rude and negative individuals (I won’t even call them fans, they don’t deserve it), don’t ruin things for the rest of us. I LOVE the TV series, and would be so sad if it went away. True fans appreciate the hard work of all involved to bring our beloved books to life. What an exceptional job they do, and what an exceptional job you do, Beth. In all arenas there are the truly negative, nasty, naysayers — ask any church council member! I vow to you that I will not be that voice in any arena. Thank you for your time and talent. I love your blog. Thanks Dawn I know you are one of my faithful readers! Thank you for putting into words exactly what I have been feeling. Outlander is my escape too! I have been avoiding reading the “discussions” because of the negativity. I enjoy your blog, and hope you will continue! Beth, I’ve been “savoring” your blog for a couple of years now, and I always look forward to reading your words, views and opinions. You express these so wonderfully for us – and I so enjoy it. I’m saddened that the internet trolls have invaded just about every aspect of our beloved series, and the books themselves, also. I have yet to understand why their unhappiness and misery is directed at “entertainment”….. in the grand scheme of life, there are so many more important things. I’d like to think that mankind will find it’s way to counting our blessings instead of focusing on negativity. Please don’t let the trolls get you down – there are so many of us that love your words, and I want to thank you for your time, effort, blood, sweat & tears. Keep up the good work please – you are very appreciated! Beth, I love your blog — I think it is one of the most intelligent, thoughtful and insightful blogs going. And the Outlander book and TV series are a very welcome distraction for so many of us in our increasingly troubled world. It’s a scary time. I, for one, am grateful for the escape and look forward to Outlander every Sunday night, as I do your subsequent blog. Please take down whatever ugly comments some people are compelled to share, and then forget about them. You have many loyal followers — I am one. Please continue to enlighten us! You have hit the nail on the head. I enjoy Outlander for the escape from physical pain as well as a reality break. I do not enjoy the negative rants. I was blessed to go to Scotland and Blackpool this past August. I met the cast and other fans. I found the cast to be a great bunch of people who are so giving and kind. They truly do their best to bring Outlander to life. I listen to the blog by Ron , Matt and Toni because I see how they truly care and put the show together with lots of thought. They do their best. I may not always understand why they change a thing I felt was important. I somehow know they have thought about it and have a plan to bring the story to life in the best way. Please know I do not agree with this “say anything about anyone “ mentality. I don’t believe people “belong “ to the public so they are fair game to be ridiculed. I will continue to read your blog and be amazed how accurately you speak what I to am thinking and feeling. I agree 100% with what you have said. I follow many of the Outlander fan sites and also cast twitter accounts, and am stunned by what people say to members of the show and to other fans. Very disturbing. Outlander, both show and book , are my escape from reality. I am coping with health issues and the show is a balm for me . The cast and crew are so darn generous with us fans, and vast majority of fans are kind and appreciative, but those few….. it bothers me to no end that the people who make this wonderful show are continually subjected to such disreputable–and very aggressive– behavior. Thank you for saying what I’ve been thinking for a long time and in a much more succinct manner. I enjoy your blog. Please keep it up. If you were to stop writing this Blog, a light would go out in the “Outlander” World. Plain and simple, YOUR opinion counts ! I’m one of the ‘don’t always agree’ Fans, and I hope and pray that on the rare occasions I am disappointed, disagree, what ever, I have remained the Lady my Mom made me believe I am. I am so sorry that you are going thru some pretty awful personal issues, I will keep you in my prayers especially for better health, wealth and spirit. Love you like I know you !! Thank you Beth…for your beautiful writing, for your caring heart, for your insights and appeal for civility! I relate entirely to what you have stated here. I stopped reading comments on blogs and the FB pages. Who needs more negative energy in this world during these times? I too rely on Outlander, Inc for escape from the day to day world of stress and strife. I’m so in awe of the creative talent that surrounds Outlander, starting of course with the spectacularly imaginative Diana “Herself”, but extending to every person involved in the tv production. I’ve learned so much about adaptations and the enormity of bringing something this massive to life on t.v. fhrough the generosity of the producers, writers, actors, etc. who don’t have to “explain” anything to us, yet take the time to do so. I have nothing but admiration for all involved, including you! So thank you. All we can do is take each day as it comes, try to keep calm and carry on. Peace to you. Stand your ground, Beth! Always stand up for civility and morality. Respect and non-judgemental behavior should be the norm, not the exception. It’s your blog, and I applaud you for standing up for decent behavior. Thank you. I sincerely enjoy your writing, and definitely appreciate your taking the time, with care, and consideration. Thank you. Dear Beth. I think you are doing a fabulous job. You have so much insight into this Epic book series and of course TV show. I am slowly reading the books but don’t have the “big picture” yet. I love your blog because I don’t have a good friend to discuss this with. This series is worth a discussion every week. You are my Outlander friend. Thank you! And thanks for your blogs, Beth. I don’t usually comment, but always feel enriched from reading your thoughts. Ouch! So sorry the trolls have found you. I always appreciate your thoughtful take on each episode. I don’t always agree with how things play out on TV, but it’s all artistic choice. Thanks for being here. PS: Your blog space, your rules! Thank you Beth. It boggles my mind that this has to be said at all. I would never dream of going on to someone’s blog and writing all sort of negative comments and bashing their work. Again, thank you. I enjoy your posts very much. I hope things get better and your stressors lessen. Beth, Life can be very challenging, sad, unfair, and downright tough to cope with. I too use books and movies sometimes to escape for a short time. I faithfully read your blog and truly enjoy your always respectful, intelligent critique. I am so glad you are removing disrespectful comments because, like you, I just can’t understand where people are coming from. They seem to have no concept that the writers, producers, directors and actors are wonderful, talented people who are doing their very best to give us a very high quality series that follows Diana’s books to the best of their ability. Maybe fans like me who love the books and are extremely grateful to see them on screen should speak up more. I personally watch each episode many times and enjoy them more each time. I never mind changes from the book, in fact, I welcome them. They make a nice surprise and always fit the essence of the book. And many times we hear why the changes were made as we hear the writers in interviews. I’m sorry you have to face disrespectful comments and I hope it doesn’t discourage you from blogging. Hopefully, there are more appreciative people like me who love everything Outlander. Beth, I’m another one of your faithful readers who doesn’t comment but would really miss you if you stopped writing. I really appreciate your interpretation of the episodes and you usually are articulating my own thoughts. You know great minds think alike! I also identify with your joy in escaping the trials of daily life by focusing for a while on the beautiful art that is Outlander. I am a forensic nurse in a remote area of western Alaska where the rate of sexual assault, child sexual abuse and domestic violence homicide is the highest in the nation. I have patients from infants to elders and feel privileged to work with each one of them. But the stress can be burdensome at times. I read voraciously and have a few shows that I watch to relax after work. But Outlander, the books and the TV series, is my absolute favorite getaway! Thanks for loving it also and for giving us more food for thought! Thanks Julie and I agree completely! Good morning Beth….and I do hope that it is a good one for you. My personal thoughts are mirrored in many of the comments I have just read. I wasn’t even aware of Outlander, the books or the show, until a girlfriend of mine recommended the novels to miss as a place to get lost during a time of very high stress when my husband was diagnosed with cancer 3 years ago. I have never regretted becoming a fan of both since then. What I find disturbing is the fact that both are fantasy, a world some of us search out to hide from the reality of the world around us but there are others out there who seem to be fanatical to sn extent. We are a “law enforcement” family having to deal with situations and stressors that the general public aren’t aware of surrounding them. Just yesterday we dealt with another blow when a dedicated member of our “police family” tragically lost his life in the line of duty. Our world seems to be inundated with negativity on a regular basis, to the extent that I choose to not listen to our media outlets very often. It is sad that I get the vibes reading negative comments about the world of Outlander, my world I can disappear into to get away from the negativity of the real world but to only find it here as well. The lovers of Outlander, whatever reasons makes them lovers, need to concentrate on the positive aspects of show and how it is developing as an adaptation of the books. The cast, writers, producers, support crew do an amazing job in the face of this daunting task. I hope I don’t need to leave another social media sites just because of the negative comments some people seem to dwell on. I enjoy your comments so please continue writing about this amazing story. Good for you Beth! I have read all the comments, and am finding an amazing group of intelligent and kind hearted people with a common love of your writing, myself included. Glad to hear that you won’t be allowing the hate trolls here, although I didn’t know it was an issue on your blog. I look forward to your take each week, and don’t read any other blogs. I am not invested so much in the Outlander fandom, and I pretty much stay off of SM because of all the incredibly vicious things people feel they have a right to say in their anonymity. It is truly a sad state of affairs, and as many here have said, and a sad reflection of the times we live in. Thanks for your wonderful insights on Outlander, and please keep shining your light for us all! I too get excited when I see your blog in my inbox. Know that your writings are enjoyed. Beth. Beth. Please. Stay with us and continue to write. Sing it loud and sing it proud ! First of all, allow me to say thank you for having this wonderful thought provoking forum to discuss what has become my Outlander…ok I’ll admit… my obsession. Secondly, for those you are unable to engage in the intelligent interchange of thoughts with openness and civility, please stick to your twitter account. Bravo Beth for calling out those who would misuse the blog and leaving “rude, offensive and judgmental” comments in their postings. We all need an escape at this time in our country and Outlander offers that welcoming shelter with open arms. Like many I have read and re-read the novels several times. I’ve only just recently found the TV Series a year ago. What a tremendous task it must be…retooling a reader’s concept of how a particular characters should look-feel-respond to the stimuli of the action created by the author in each chapter. I for one applaud how well the series has done. Until this series, I have been most disappointed in the “TV Junk” offering of the week. Outlander has renewed my respect and admiration that a TV Production can so eloquently tell a historical romance story. I am amazed at stellar acting of both Sam and Cait. Many episodes I have found myself truly moved by the performance of cast. I agree with you Beth, respect to the writers, crew and actors for making this series meaningful in so many ways. Outlander has taken on controversial topics, allowed strength of character to shine (even in their weaknesses) and has given us, the viewers, something to believe in that is greater than ourselves. Beth, I’m so sorry the Negativity has found its way to your blog and to bothering you personally. I really feel for you and have found myself feeling the exact same way. As usual, I agree with you 100%. It got so bad for me–the way I was feeling any way, plus the horrors of the world today, and the increasing ugliness all over FB and the internet that I was seriously thinking about dumping all forms of social media and getting off even all of the Outlander groups I was on. I have left several, a couple because a few people actually “screamed” at me (all caps) for whatever. I’ve been increasingly upset at the vitriol that the show’s people have had thrown their way as well; it’s just not right. You are the best blogger I have read; your analysis always seems intelligent and spot on, so I would hate to see you get too discouraged and stop writing. It would be a loss for us followers and a victory for “the Dark Side.” Please “hang in there,” and as I tweeted recently to Matt Roberts and Sam Heughan (first time I’ve ever done anything on Twitter): “Illegitimate non carbarundum” which is” fractured” Latin for “Don’t let the bastards grind you down!” Best Wishes and a big ((Hug)) to you. We have had the joy of an outstanding season; given by a team of incredibly talented people. Yet for some reason there have been some very disturbing comments on fan sites. One may make a comment, or state an opinion respectfully. Personal attack has no place in this wonderful Outlander family. Beth- I’m so sorry that this wonderful thing you have been creating has been sullied. It has to be profoundly disappointing. I hope that the love shown in these comments helps to make this space a joyful one for you again.